Comanche County was first politically organized in 1873; however, this was fraudulently done. Bogus records showed a population in the county when in fact none existed. The creation of a false population allowed the legislature to organize the county and float bonds. The attorney general, however, investigated and declared there was no population. Even so, the legislature declared a legal government had issued the fraudulent bonds, and this held the county back from any funding for improvements. In the Legislature of 1874 the county was represented even though it had no population. On February 27, 1885, the county was reorganized and lawsuits were begun against those holding the original bonds. It was not until 1941 that the bonds were completely retired. The county contains the cities of Coldwater, Wilmore and Protection. The Presbyterian Church in Coldwater was founded in 1884. The first permanent building was a Methodist church in 1885. The first county fair began in the 1930s but was abandoned. A 4-H fair was held during the 1940s until the early 1980s when it once again became the Comanche County fair. The first school was a subscription school in Coldwater. Although the exact dates are unknown, it is recorded that more than 30 subscription schools were in operation by 1887. Interesting figures in Comanche County include William V. Jackson, a state legislator in the 1920s, land promoter, and innovator in new farming and ranching techniques, who was the first to plant alfalfa in the county. Bernice Herd was Kansas Mother of the Year in 1976. Harold Herd is currently (1987) a Justice of the Kansas Supreme Court, beginning his service in 1979. 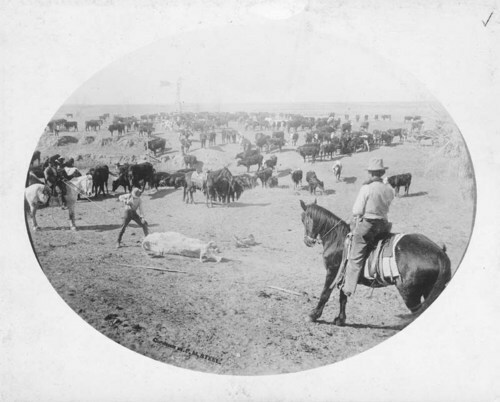 The story is told of one John Bell, an early rider for the Comanche County Cattle Pool, who arrived in the county so early he helped dig Mule Creek. The reason that Mule Creek is so crooked is that Bell had to dig with one hand and fight off Indians with the other. Kunigunde Duncan's "The Tether" is set in Comanche County. In 1978 a documentary film titled "A Pioneer Experience," was made depicting the county's early settlers and life on the plains. For more information see the Comanche County website. The Comanche County History, published by the Comanche County Historical Society, 1980, is available in county libraries and is for sale at the Comanche County Historical Society. The Historical Society has a small research collection.